The success or failure of any business is determined by the business' ability to convert its inventories into sales. Easier said than done, the transformation process requires extensive sales and marketing strategy to reach a broader target market. In addition, highly flexible customer satisfaction protocols are to be put in place to distribute as much sell volume as possible within a short period. As a result, retailers continuously engage with sales representatives, formulate marketing strategies, and recommend the best approach to their business. However, in the recent past, one marketing strategy; Internet Marketing, has proven to gain popularity in retail business. As its name suggests, internet marketing employs the use of internet technology, to create awareness, inform, or advise consumers on the availability/usage of a product, with the aim of increasing the volume of sales of that particular product. Internet marketing is taking over the world of business, thanks to the availability of a wide range of marketing outlets. To bridge the gap between consumers and retailers, there is a need for retail businesses to engage in parallel channels. Simply put, internet marketing strategy tends to have a significant contribution towards ensuring retail business embraces the digital transformation. Moreover, since marketing is key to any business, it follows that any marketing strategy is inseparable to the type of retail. The following discussion explains how internet marketing is powering retail's digital transformation. An effective marketing strategy is one which, in addition to meeting the target market, also offers a wide range of cover. Internet marketing conveniently enables retailers to advertise their products to the many potential consumers at a glance. Borrowing a page from Victoria's Secret, launching or displaying products on social media creates awareness on the existence of a new product in the market. Moreover, through images of Victoria Secret’s models, consumers get to see how the product would fit and often get enticed to buy. Posting pictures or links to your products on social networking websites makes it so customers can easily make a purchase when they see something they like, contributing further to the number of clientele the retail business covers. Thanks to the interactive nature of the web, a large number of potential consumers air their opinions about products they purchase through an online platform. This makes it so a discussion is possible between the research team and potential customers, which contributes significantly toward understanding the needs of the consumer. This interactive marketing strategy has motivated retailers to develop online platforms that allow consumer-retailer interaction. This ensures that consumers are able to air their views and recommendations on the products being offered by the retailer. As a result, retailers are empowered to customize the goods they offer to meet the needs of consumers with the goal of raising sales volume. It is evident that this type of internet marketing strategy has revolutionized retail trade. One of the biggest benefits of internet marketing is that it leaves room for your target audience to access information at their convenience. Consumers can browse, compare, and order their goods and services from the comfort of their homes without having to visit a brick and mortar. Companies like Amazon and Ebay have benefited a great deal by simply embracing and restructuring this particular internet marketing strategy to suit their needs. The Internet provides a platform in which marketing strategy can be tested through trial and error. A large number of sites now offer the means to access a variety of data about your target audience. Internet marketers have taken advantage of this fact by using sample studies to learn more about particular market variables. Internet technology dominates the world we are living in today. Institutions of all kinds are migrating as many of their services to the internet as possible. Retailers have also migrated here to enjoy the advantages associated with internet marketing. For instance, with many possible clients embracing technology, internet marketing has provided extensive opportunities to approach potential customers. Additionally, the availability of a wide range of information pertaining to a specific audience provides your marketing team with ample information to make conclusions on the needs and desire of the customer. Embracing internet technology is enabling retailers to obtain information in regards to the needs and preferences of potential customers, and restructure their goods and service to meet the consumer's needs. Social networking sites give customers a platform to air their views and opinions concerning a particular issue. Internet marketing research teams should be able to analyze this feedback and make meaningful conclusions pertaining to the preferences of your customers. As a result, retailers can then offer goods or services based on the information obtained from the experience of their consumers. For example, a retailer may opt to start selling a particular brand of product as opposed to another brand, based on the experience of customers. 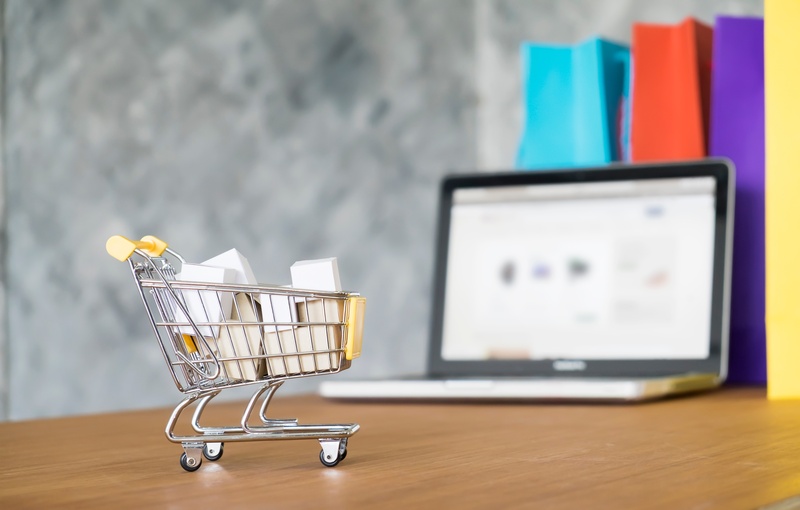 Many issues have contributed toward retail's digital transformation, but above all else it is the undeniable success found by companies who have embraced internet marketing that has decided retail’s digital future.